The Milliard quilted waterproof mattress pad provides the perfect combination of cushioned comfort and complete waterproof protection to ensure a healthier and better night's sleep. The ventilated pad increases air flow and helps regulate sleeping temperature. It also incorporates a special hydrophobic material which serves as a barrier to prevent fluids and allergy triggers such as pollen, dust mites and mold from penetrating your mattress. This premium mattress protector is designed to provide advanced relief for allergy and asthma sufferers by featuring a quilted hypoallergenic sleep surface and filled with soft polyester fiberfill. 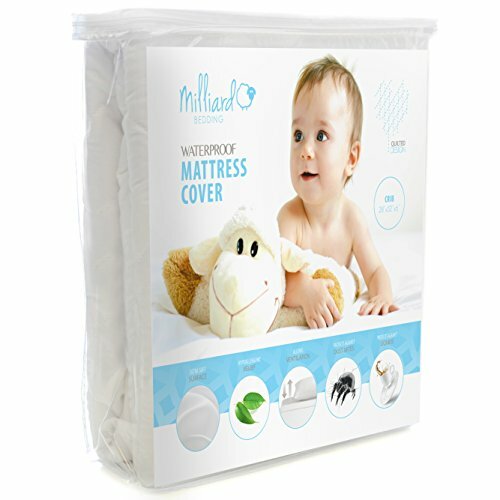 The Milliard Premium Mattress Pad offers you the best in health benefits and allergy relief. It fits snugly onto any mattress up to 14in. and is machine washable for easy care. Get a healthy night's sleep at a great value!